When the front fender is removed from the stock forks it may look good but you end up with a “flexy flyer” that twists and sways more than a drunken sailor. We found this out when we started putting wide, 21” wheels on our Softails. 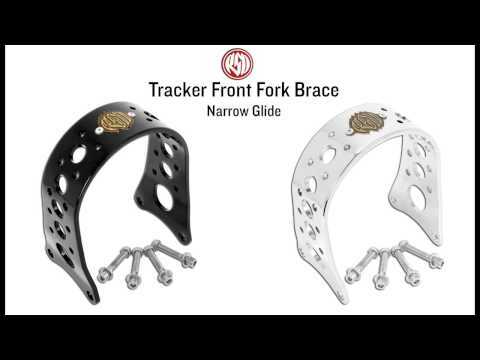 Bring the performance back by keeping your front wheel going in the direction you point it with the RSD Tracker Harley Wide Glide Fork Brace.